Learn responsive design and how to make your pages optimized across devices for mobile, tablet, desktop and widescreen. Learn how to make your pages look great on both desktop and mobile with a great responsive design. Use the Column Element to center and align elements horizontally. This will ensure that your content will look great on mobile. 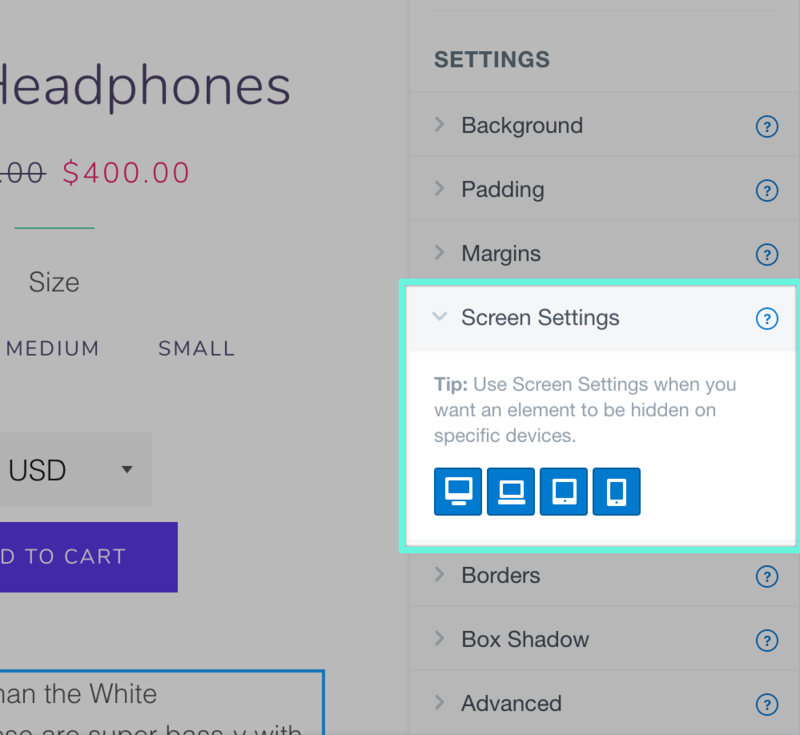 Screen Settings allow you to create unique viewing experiences depending on the device that your user is viewing your site on. You can design for widescreen, desktop, tablet and phone. This can help you design for mobile users, as well as desktop users. Use the device toggles at the top of the editor to preview different screen sizes as you're building each element or section. Don't wait until the you're nearly finished your page. When using background images on your page, it's worth noting that if you go down in screen size, your image may be cropped. If you require the full image to be shown, consider using the Image Element instead.